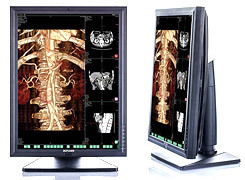 Medical Displays JUSHA-M260G are constantly in a warehouse in Kyiv. The advantages of high luminance, high grayscale, uniform luminance, which all are designed for high-requirement clinical diagnosis, CR, DR, MR, CT.
manufactured in Europe for Europeans. 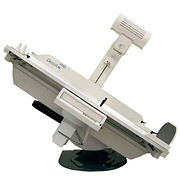 DEDALUS MB IMX-1A 90/90 X-ray Complex is a compact and versatile remote controlled tilting table for radiographic, angioseriographic and fluoroscopic examinations. Due to its versatility and easy operation it is suitable for any type of routine or special examination without any clinical limitations. 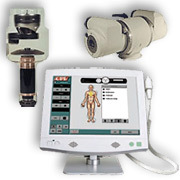 Basic radiographic system BREEZE, ARCOM (Italy) is available in various modifications for your specific purposes. Numerous variants of the patient positions. 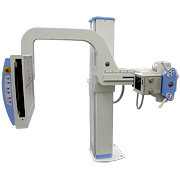 BRS - is a universal X-ray system with simple and convenient management functions, focused on the operator with minimal level of training. 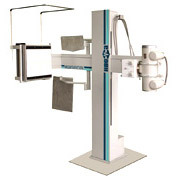 The X-ray Antarix system is designed for all types of X-ray studies, including linear tomography. 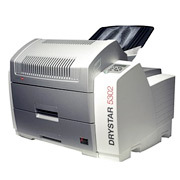 It is equipped with a digital X-ray Flat-Panel EVS-3643. 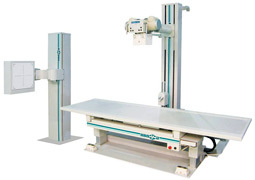 Major overhaul and modernization of Fluorographs (X-ray systems for chest) FDIP produced KUFP «Medaparatura» in 2002-2007. 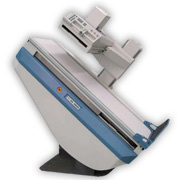 We make overhaul and modernization for FDIP fluorographs (X-ray systems for chest) that are operated more than 10 years. Main types of work are replacement of the generator, X-ray tube and the digital detector to more modern. As well as repair of X-ray protective cabin. Fluorograph (X-ray system for chest) with digital image processing FDIP-12 (11) without cabin, Kyiv’s Union Factory Production «Medaparatura». FDIP-12 (11) is designed for screening researches of thoracic organs (lungs). 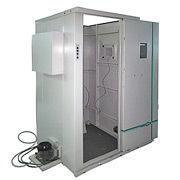 The main advantage of this X-ray device is patient research convenience due to the stand construction without cabin. Patient and staff safety is provided by a stationary protection. 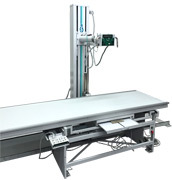 The X-ray device – Fluorograph (X-ray system for chest) FDIP-08 (07) manufactured by KUFP «Medaparatura» is intended for screening radiographic researches of thoracic organs (lungs). 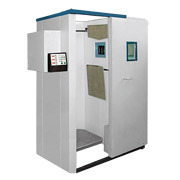 The main advantage of this X-ray machine is the X-ray protective cabin, which reduces the radiation burden for the personnel to the level of natural background. 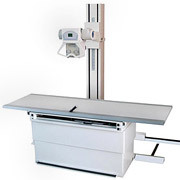 X-ray diagnostic systems RAD-type produced by KUFP «Medaparatura» are designed for radiographic studies and linear tomography on the images desk and on the vertical bucky stand. 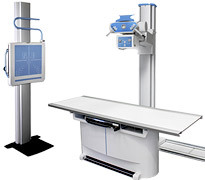 X-ray diagnostic systems are equipped with tomographic device, allowing to perform (to carry out) analog linear tomography. 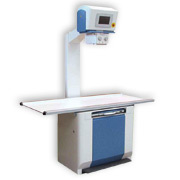 Veterinary x-ray system is designed for X-ray researches in veterinary clinics. 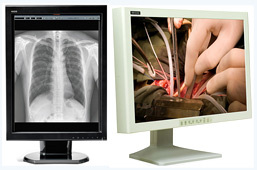 A wide range of Medical Displays JUSHA for imaging in radiology, mammography and surgery, including DICOM-compatible equipment for operating and ultrasound diagnostics. 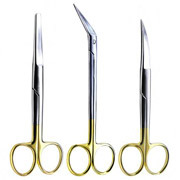 General surgery, ophthalmology, cardiovascular surgery, neurosurgery, urology, traumatology and orthopedics, gynecology, maxillofacial surgery, dentistry, plastic and aesthetic surgery, otorhinolaryngology - medical instruments high quality. 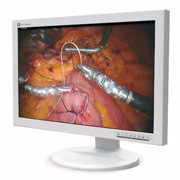 Surgical monitors of FSN with a diagonal from 19" to 55" have the most realistic color reproduction, as well as a number of advanced features - "Image in Image", "Image next to the Image", scale, screen capture, etc.